Don Moen live in Gensan! Don Moen, the renowned Christian worship singer and song-writer will be making his way to General Santos City this coming November to perform at a one-night-only concert. A well-known name in Christian music, Don Moen has already written more than 100 songs in his career, performed in many countries all over the world and brought inspiration to millions. He is best known for his songs like "God is Good", "God Will Make A Way", "I Will Sing", and "Give Thanks". 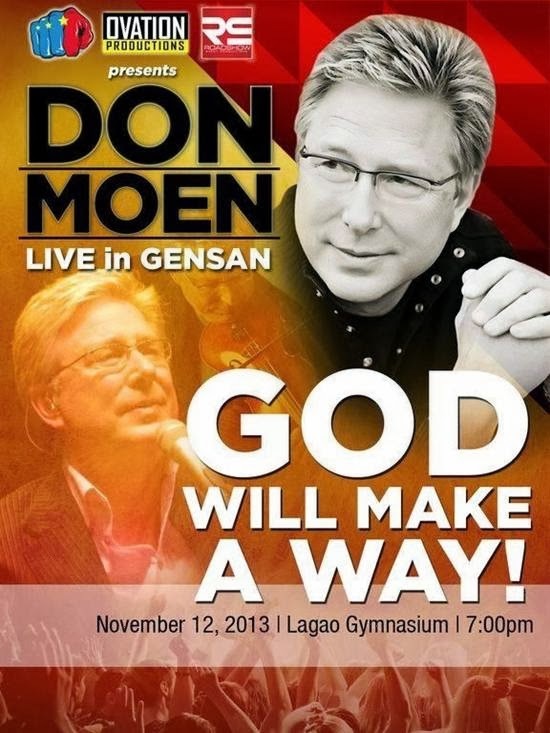 Doen Moen live in Gensan will be held at Lagao Gymnasium on November 12, 2013. Visit Memento at KCC Mall of Gensan for tickets and reservations.